The Committee on Consumer Affairs and Business Licensing, chaired by Council Member Rafael Espinal, a Brooklyn Democrat, will hear the bills for the first time. One, sponsored by Council Member Ritchie Torres, would outright ban retailers from not accepting cash. The other, sponsored by Council Member Fernando Cabrera, would require cashless retail establishments to display conspicuous signage to alert consumers that they are card-only before they get to the register. Both Torres and Cabrera are Bronx Democrats. After Torres introduced his bill last fall, it generated widespread media coverage and ignited a debate on the convenience of credit and debit cards versus how refusing cash excludes individuals without plastic. Notably, as of Tuesday afternoon, Torres’ bill has 18 co-sponsors in the 51-seat Council, including committee chair Espinal. Cabrera, along with Council Member Andrew Cohen, also a Bronx Democrat, are the lone sponsors of his bill. Cashless retail establishments are seen as problematic for the “unbanked” or “underbanked,” those without bank accounts and those without easy access to banks, respectively. In 2015, an Urban Institute study surveying New Yorkers found that nearly 12 percent, or 360,000 households, did not have bank accounts. The finding is higher than the approximately 8 percent of Americans nationwide who are unbanked. An additional 25 percent, or 780,000 New York households are underbanked, the study found, compared to the 20 percent of underbanked Americans across the country. Shoppers in the U.S. are expected to generate 190 billion cashless transactions this year, including e-commerce, according to Kristen Regine, a professor of marketing at Johnson & Wales University in Providence, R.I. She cites millennials as leading the way on the consumer side, but the move is likewise a matter of convenience for retailers. The growing trend of exclusively requiring plastic or mobile pay, like Apple Pay, for purchases is here locally, with fast casual chains such as Sweetgreen and Dig Inn, or higher-end restaurants such as Danny Meyer’s epicurean empire adopting the policy. Cabrera also sees this as part of the trend Regine described. “This is not new, this is not someday, this is the now. And if that’s their business model, and they have taken into consideration the potential they could lose a few customers, you know, that’s their business model. My bill basically gives them the freedom to use their business model, but at the same time, gives strong consideration to the customers to be able to know right off the bat that business will accept cash or not,” said Cabrera. As for the country, according to Regine, over 40 percent of U.S. adults don’t carry cash. “It’s just kind of our way of life,” she said. Yet, both Cabrera and Torres want to account for that other 60 percent, which may be higher in New York City given the unbanked population. Thursday’s hearing will provide insights into where their legislation may be headed. But, there won’t be any votes on Thursday. The Council committee will hear the bills and testimony from whomever has been invited or signs up to discuss the legislation, such as business owners and consumers. Then the bills will be laid over in committee, at which point they can be tweaked within the Council, or not, and picked back up for a vote by the committee. If successful in committee, a bill heads to the full Council for a vote. Both Council members are cautiously confident their bills will move forward for a vote. “I believe we’re going to get this through. It’s a common-sense bill,“ said Cabrera. Colin Cento tells his food couriers to take on additional gigs from delivery services such as Uber Eats and Postmates, even as they work for him. Cento, who co-owns a chain of three fast-casual restaurants in Lower Manhattan called Poke Green, encourages them to supplement their income with the extra jobs because he pays them as contractors rather than staff employees and only for the hours of heaviest demand. As the minimum wage has increased sharply, outsourcing delivery workers is one of several measures Cento has taken to curb operational costs and avoid raising prices for his customers. Like Cento, many of New York City's businesspeople have been able to adapt to higher labor costs through innovation and by increasing efficiency and revamping existing strategies, proving that concerns rising wages would hurt small businesses and lead to losses in low-wage jobs are so far misplaced. The survival of skeptical small businesses and a steady increase in jobs show that wage increases have been manageable and even fueled broader economic growth. "There are restaurants opening everywhere, so if minimum wage gets in the way of our decision-making, it just leaves the door open for somebody else," Cento said. "As business owners, we have to just figure out a way to make it work, whether that's cutting a cost somewhere or adding a cost somewhere else." Since 2015, the number of full-service restaurant jobs in New York has increased by more than 4 percent and the number of full-service establishments by 10 percent, according to a joint study by the Institute for Policy Studies and the Restaurant Opportunities Center United. The research found that restaurant workers also saw a salary increase of 10 percent. The numbers show the same story for retail and health care, two other industries opponents said would be hurt by wage increases. As of the final day of 2018, the minimum wage in New York City had more than doubled to $15 from $7.25 per hour since 2013. The 2016 law that instituted the most significant hikes is being phased in elsewhere in the state. At the same time, the city has seen a broad economic expansion with rising wages across all income brackets. "And at the lower end, one of the reasons that there's been this upward pressure is the minimum wage increase," said economist James Parrott, the director of economic and fiscal policy at the Center for New York City Affairs at The New School. 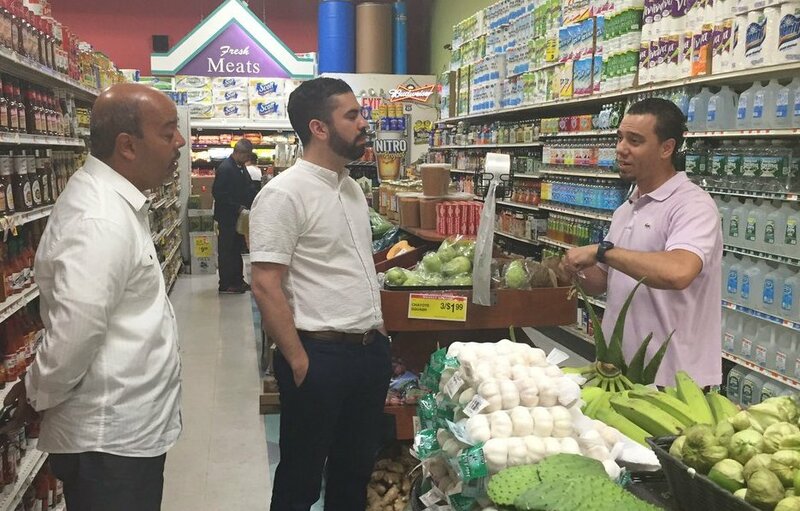 Paying more results in workers who are more efficient, according to Teófilo Reyes, research director at the Restaurant Opportunities Center United and one of the experts who conducted the study examining the impact of minimum wage increases on food establishments. It also lowers training costs associated with new hires because workers stay around longer. "You have employees who are more committed to these establishments, they are happier to work there and they're less inclined to leave," Reyes said. "So that leads to reduced turnover." Charles Branstool, owner of Exit9 Gift Emporium, is already paying his employees above $15 per hour and is convinced higher wages improved his retention. "It's expensive to find good people, and it's expensive when good people leave because they have a better prospect," Branstool said. "Being able to stay more competitive allows them to stick around." A recent national study conducted by Harvard Business School found that only restaurants that were already performing poorly have closed as a result of increased labor costs associated with minimum wage hikes. The 2017 report, which examined data from the online review platform Yelp, stated that a one-dollar increase in the minimum wage leads to a 14 percent increase in the likelihood of exit for a 3.5-star-rated restaurant but has no discernible impact on a 5-star restaurant. "There appears to be a relationship between management of a business and its ability to handle wage increases," Reyes said. "A business that is poorly managed is going to have difficulty succeeding under pretty much any circumstance." Since having to up his workers' salaries, Cento has not had to lay anyone off—and he doesn't expect to after the latest increase for the start of this year. But he has switched food suppliers, explored different delivery and logistics options to reduce costs and considered offering discounts to customers who pay in cash to avoid incurring additional credit card fees. He also encourages diners to order directly from the shop rather than use an online delivery platform that keeps a roughly 30 percent cut of the sale. "These are all things that we're working on to not force our prices to go up," he said. Carmen Rodriguez, owner of the Williamsburg-based bakery, Brooklyn Cupcake, has made efforts to launch new products to help rival competitors, including a dairy- and egg-free cupcake line when the new vegan restaurant opened next door. She added ice cream to the menu for the first time this summer and upped her social media strategy to promote the business. There has been evidence some eateries have instituted small price increases but surveys and continued spending have affirmed that customers are willing to pay them. Additionally, workers who have benefitted from the wage hike are likely to spend it on eating out, research shows. Employers in New York City's fast food and restaurant industries have also increased innovation in terms of sourcing, fresh produce, and establishing good farm-to-market connections, Parrott said. Cento, for example, continues to buy fish directly from China because of its quality despite trade tension-induced price increases. But he goes across the street to buy greens for the poke bowl base in bulk at Whole Foods because it is cheaper and he can buy smaller portions more frequently to ensure freshness. He has also revamped the menu at the fast-casual Japanese joint. He added Thai-style rolled ice cream and a variety of exclusive Asian soups that can't be found at competing eateries. "Businesses are having to adapt and be more innovative, be more efficient in the way they utilize workers and produce," Parrott said. "The result at the end of the day is you get more competitive businesses who are able to pay workers a higher wage." When the $15 an hour minimum wage was initially proposed, the health care sector was among its most vocal opponents, concerned over how significant the cost would be for hospitals and home care agencies. The Home Care Association estimated in 2016 it would cost hospitals $570 million and home care agencies up to $1.7 billion per year due to 24-hour shifts staffed by many low-wage workers in the industry. Some also argued that if low-wage, low-skill workers were being paid as much as $15 per hour, the rate of higher-skilled employees would have to be raised significantly. The industry has been able to offset much of the cost by winning higher Medicaid reimbursement and other funding. About 90 percent of services provided by home health and personal care aides in New York State are funded by the Medicaid program. But the industry has also made consolidations, mergers, and acquisitions. And growth in the healthcare sector remains strong, with home health care accounting for almost one third of all New York City employment growth in 2018, up from about 25 percent in the last two years, according to the New York City Independent Budget Office's most recent fiscal outlook report. "We have to work to attract employees because there are so many home care agencies out there," said Natalie Quinones, corporate office manager of Preferred Home Care of New York, a home and personal care service with over 5,000 employees. Retailers are coping too. Estimates showed that once New York's minimum wage is fully phased in, operating costs for retailers will be affected by only 0.2 percent. This ranks low when compared to food manufacturing at 0.8 percent, or restaurants at 7.1 percent. The sector's challenges stem primarily from having to fend off competition from Amazon, noted David Belkin, senior economist at the New York City Independent Budget Office. 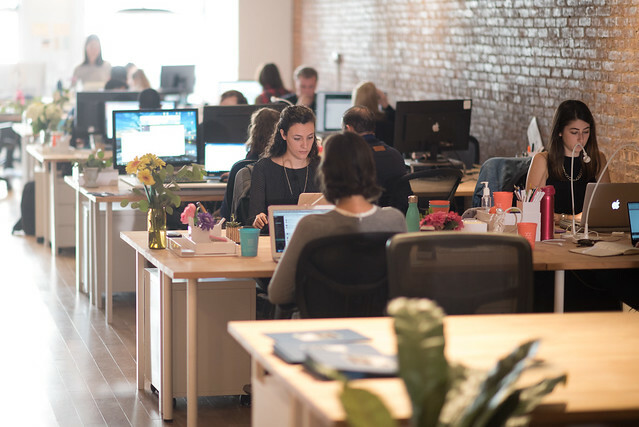 Branstool believes the best way brick-and-mortar stores can compete with online retail is by providing customers with a great in-store experience that makes them want to come back. And the way that happens is by paying and treating workers well to make them more enthusiastic to work there. Wage growth and tightness in the labor market have also led employers into implementing better benefits, including more schedule flexibility and better paid leave policies, especially during the holiday season when worker demand spikes. While wages are rising, the evidence of economic harm is simply nowhere to be found. Since late 2015, the unemployment rate has decreased in New York City from 5.1 to 4.3 percent percent, and from 4.9 percent to 4.5 percent for the entire state, according to government data. The number of people in low-wage industries has largely stayed the same. "You find studies that say this, and you find studies that say that, but the average studies show that there are pretty limited employment consequences and pretty serious, large, positive earnings increases for low wage workers after a minimum wage increase," said Ben Zipperer, an economist specializing in minimum wage, inequality and low-wage labor markets at the Economic Policy Institute. Some business owners do say they have had to lay off workers and remain fearful of the full impacts of labor cost increases when the minimum wage reaches $15 an hour. Josef Itskovich, owner of the Midtown-based handbag manufacturing shop Baikal, has had to lay off 35 percent of his staff since 2016, he said. Although, he acknowledged factors beyond the minimum wage, such as soaring rent and foreign competition, have played a role. 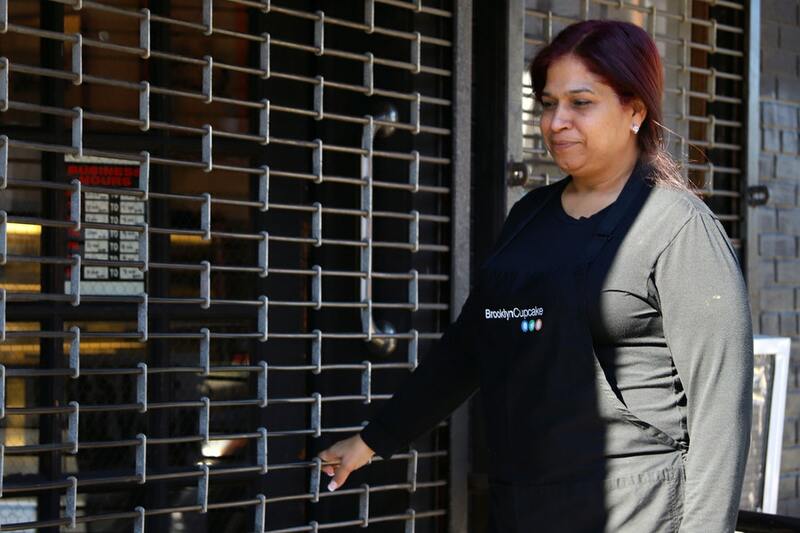 Rodriguez of Brooklyn Cupcake has let two workers go as well. Robert Brusca, an economist at his New York-based consulting firm Fact and Opinion Economics and a critic of minimum wage increases, expects more casualties to show up in the coming years. "Right now, the job market is too tight and the minimum wage legislation is still working its way through the system," Brusca said. "But in time, a firm may realize it is not making its way into this new cost structure and will have to make decisions that will cost people jobs." That is exactly what Rodriguez worried about. "My biggest fear is that our doors will close if we can't meet this or that," she said. by Alexandra Semenova and Sharif Paget for Gotham Gazette. This story was produced as the authors' capstone project at the Newmark Graduate School of Journalism. Small businesses are at the center of an emotional debate about the economic and cultural vibrancy of our neighborhoods. But do their contributions justify the attention? In new research with colleagues at the NYU Furman Center, we measure the importance of local patronage—the steady stream of customers that small and independently-owned businesses rely on to keep their doors open. Neighborhoods count on these businesses for services, personal goods, food, and keeping the streets dynamic and safe. Our results suggest that these benefits are at risk when external factors reduce support for local businesses. In October 2012, Hurricane Sandy produced a large and unexpected economic shock that devastated a number of waterfront communities in New York City. There were also neighborhoods in the flood zone that were untouched, and we use this disparate impact to understand how an extreme interruption to local demand affects the viability of commercial businesses that rely on a nearby consumer base, like grocery stores or hardware stores. Data show that the storm had a larger negative effect on these neighborhood-based establishments than it did on businesses that draw on broader markets that are less location-specific, like financial services or building supply companies. Among all classes of businesses we examined, only neighborhood-based establishments suffered meaningful and persistent losses. Moreover, losses were borne almost entirely by the smallest, independent enterprises. Retail operations were nearly 50 percent more likely to close in areas with more severe flooding. They also lost on average nine jobs per city block and experienced a 14 percent drop in sales revenues for a surprisingly long period following the storm – revenues and employment still had not rebounded as of late 2016. Establishments with broader consumer bases – the bankers and builders – also declined on severely flooded blocks. But unlike their neighborhood-based counterparts, this was largely due to fewer new openings rather than more closures. Businesses with broader customer bases also avoided the economic hit that shuttered so many neighborhood establishments. These findings put numbers on the visceral losses felt by New Yorkers—fewer services and more empty storefronts, essentially the disappearance of a vibrant streetscape that is the lifeblood of urban neighborhoods. There are also fiscal implications for the city overall. Across the city those blocks with severe flooding experienced a net loss of 540 establishments, 3,700 jobs, and $2 million in sales revenue. Even if some of that is regained in other, less affected parts of the city (an outcome not apparent in our data), these are potentially millions of dollars lost in tax revenues. While our focus was the response to a natural disaster shock, these results also have implications for the economic forces reshaping cities. E-commerce, for example, has dramatically changed how people shop for goods and services in their neighborhoods. There are growing calls for government policies to protect local businesses from such shocks, such as commercial vacancy taxes and rent protections, or for Internet sales taxes that can rein in online competition. However, our data imply that much of the solution is in the hands of everyday consumers, in their decisions to walk to a nearby retailer rather than to order something from a far away distribution center. Though the price might be a few dollars higher, the benefits that you and your neighbors receive from having vital local businesses are well worth the cost. And even same-day shipping can’t compete with the instant gratification of a quick stroll to the store. Rachel Meltzer chairs the Public and Urban Policy M.S. Program at the New School’s Milano School of Policy, Management, and the Environment. On Twitter @ProfRachelM. Our Small Business Support Center has provided more than 12,000 services to small businesses since its launch last year. 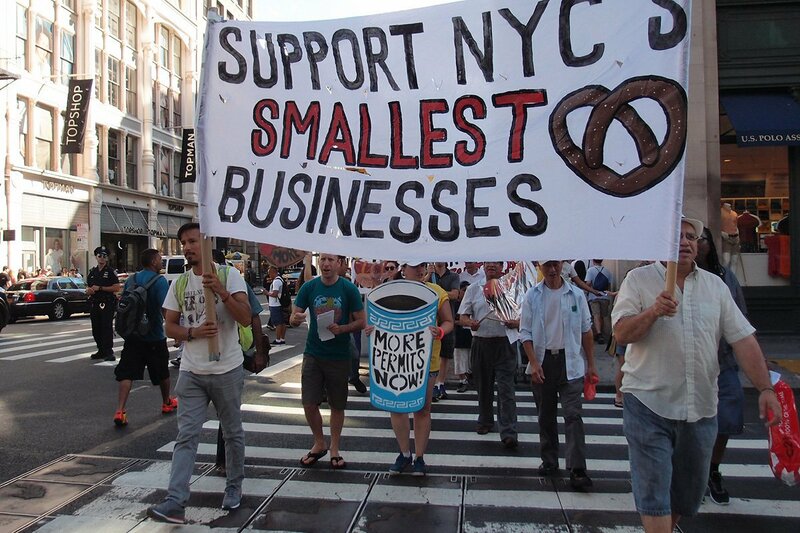 Small business fines are down 40% since the mayor took office. Since 2014, we’ve helped small business owners access $169 million in capital to grow their businesses. Restaurants that take advantage of our services open three months faster. We’ve served more than 12,000 foreign-born entrepreneurs. Over the last year alone, we’ve provided nearly 1,500 free, on-site consultations to help small business owners avoid costly fines and penalties. 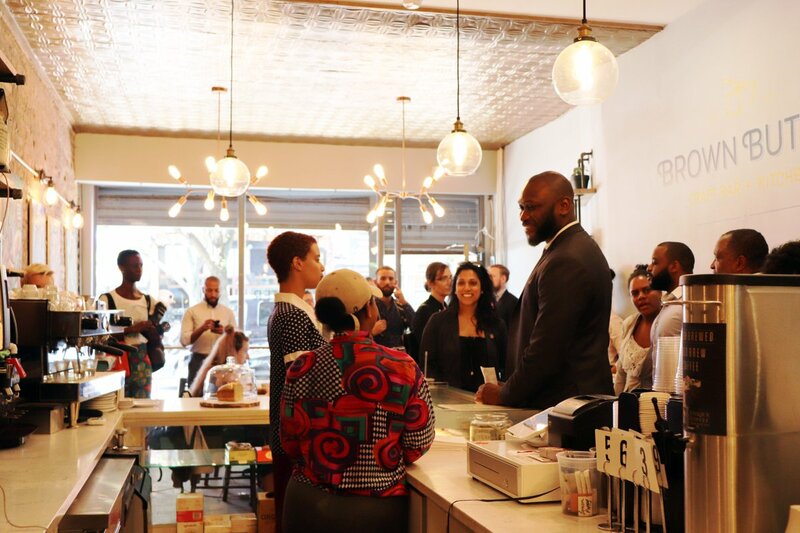 The City offers these, and many other services because we recognize that part of what makes New York City special is the diverse mix of small businesses that give our neighborhoods character. We care about the local hardware stores, beauty salons, and pizza shops where the owners know your name and are invested in their communities. We are moving government out of the way of small business owners, cutting red tape, providing new legal protections, and leveling the playing field for minority, women, and foreign-born business owners. Every year, our team at SBS reaches thousands of small businesses through an array of free, accessible services. We help small businesses in every phase of their development as they start, operate, and grow. 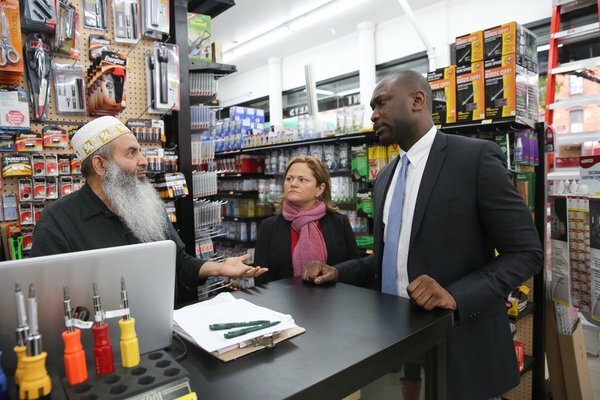 This support helps small business owners cut costs and boost their bottom lines, offsetting some of the competitive pressures that exist in New York. We help small businesses to write business plans as they are starting up, learn how to negotiate a commercial lease, and understand City rules and regulations. We keep them running with free educational resources, legal consultations, and compliance services to avoid costly fines and penalties. And we help small businesses to grow through programs to help them secure financing, sell to the government, and other tailored services for minority, women, and immigrant-owned businesses. This year SBS also launched a citywide program called Love Your Local, which encourages New Yorkers to share their favorite independent small business through social media and on an interactive map on SBS’ website. 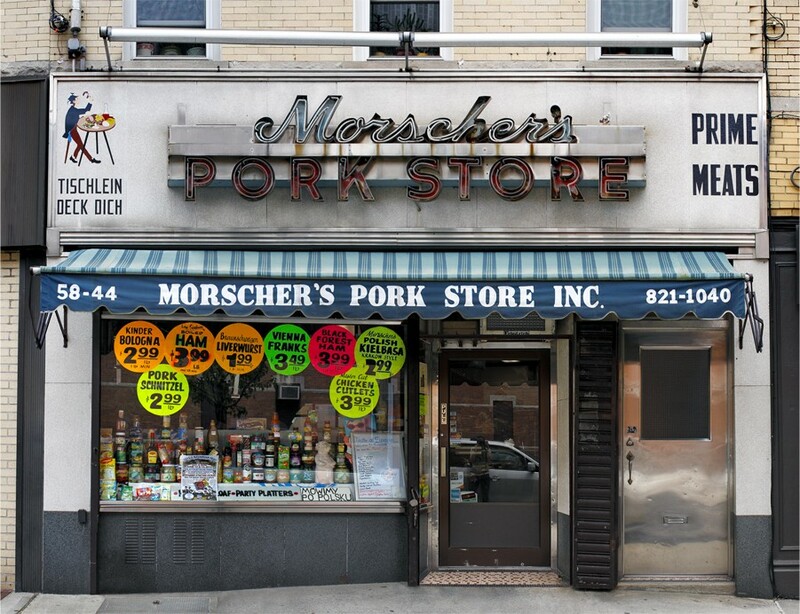 So far, over 2,000 businesses were shared for other New Yorkers to discover. In addition to this free publicity, these businesses are eligible to apply for grant funding to help them better compete. The author of the op-ed also questions the value of the City’s work with Business Improvement Districts (BIDs). At SBS, we provide technical assistance to communities that wish to form a BID. We help make sure that BIDs are accountable and formed through ground-up community engagement. There are BIDs across New York City that are both big and small, providing supplemental sanitation services, merchant organizing, and neighborhood beautification to strengthen existing small businesses. The 74 BIDs that operate across the city include 35 low-to-moderate income neighborhoods and each of them is governed by a locally-controlled nonprofit board of directors. Collect 10,800 bags of trash. Remove 233 incidents of graffiti. Distribute 10,036 marketing materials promoting small businesses. Interact with 5,752 visitors who keep shops bustling with activity. We are proud of the work we are doing each and every day to support stronger businesses and build stronger neighborhoods across the five boroughs. I encourage all small business owners to take advantage of the free services that SBS offers. We can help your business start, operate, and grow, and we are also here to provide assistance to communities that choose to form a BID. More information on our services can be found by visiting our website or by calling 311. Gregg Bishop is the Commissioner of the NYC Department of Small Business Services. On Twitter at @NYC_SBS and @GreggBishopNYC. Yet, amid the joy and cheer that accompany the holiday season, the pressure to find perfect gifts for our loved ones while also balancing our checkbooks can be daunting. Especially when income inequality in New York City is at an all-time high and working people are struggling to get by, the sense of obligation to buy presents is often an added burden on already financially strained families. Even with specific family situations being what they are, New York City consumers will spend a lot of money this holiday season. We live in a heavily consumerist culture, with pressure constantly upon us to buy more and more -- pressure that is even more present during the holiday season. Whether through the temptations of often sneaky “sales” in big-box stores or more modern techniques, such as the constant slew of advertisements targeted at us on our Facebook pages or in emails, large corporations are always trying to reach us; always trying to sell us the next big thing. Big companies often do provide us with the stuff we need to live our unique lives, while also providing jobs for our families and neighbors. But corporations do not have to be our main providers and an over-reliance on their services does not offer the best economic opportunities for our city. This holiday season there is again an important opportunity for us to create a stronger local economy by patronizing local businesses. That is why, as a City Council member, the chair of the Consumer Affairs committee, and a Brooklynite, I am urging my fellow New Yorkers to shop locally. Look for items made in New York to encourage local manufacturing and skip the big malls for your local business corridors. You’ll be amazed at the variety and quality of goods available to you locally, if you look. If you prefer online shopping, consider replacing amazon.com for madeinnyc.org, an online platform that directly connects New Yorkers with local manufacturers offering the latest in food, fashion, furnishings, and other products. There's nothing like shopping local for all your last-minute gifts, too. One recent study found that for every $100 spent at a local business, $68 stays in the community. Yet, when the same amount of money is spent at a non-local business, it produces only $43 for the local community. That difference of $25 per $100 could be going to community businesses, which are often owned by families and employ neighborhood folk. Local ‘mom and pops’ have long been the backbone of our society -- they sustain families and provide jobs to community members. In fact, since 1990, small businesses alone have created 8 million jobs and most owners support paying above and raising the minimum wage. These are key reasons to shop local this holiday season -- and beyond. Small businesses no doubt contribute to the economic fabric and sustainability of our local communities. And, if that is not reason enough to support your local shops, consider this: a Harvard Business School Study found that CEOs make 350 times more than the average worker. Income inequality is one of the most crucial and wide-reaching issues of our day. We saw this as a major theme in our recent presidential election, both in the Democratic primary between Hillary Clinton and Bernie Sanders and in the general election with the nomination of Donald Trump -- a radical rejection of the political status quo -- because it spoke to many Americans’ innermost economic and social grievances. Each of us has ample opportunities to make personal choices that hold large corporations accountable and bolster our local businesses. As chair of the City Council Committee on Consumer Affairs, and as a proud Brooklynite, I urge New Yorkers to spread the cheer to their local retailers and shop locally this holiday season. 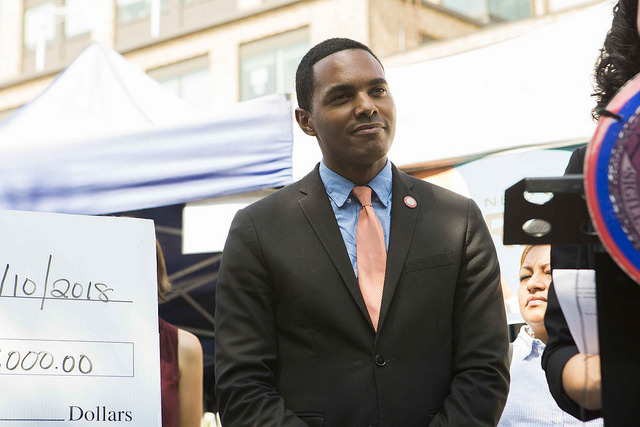 Rafael Espinal is a New York City Council member representing parts of Bushwick, East New York and Oceanhill-Brownsville in Brooklyn. As Chair of the Committee on Consumer Affairs, Council Member Espinal works to enact legislation that protects consumers, strengthens businesses, and empowers New Yorkers. On Twitter @RLEspinal.